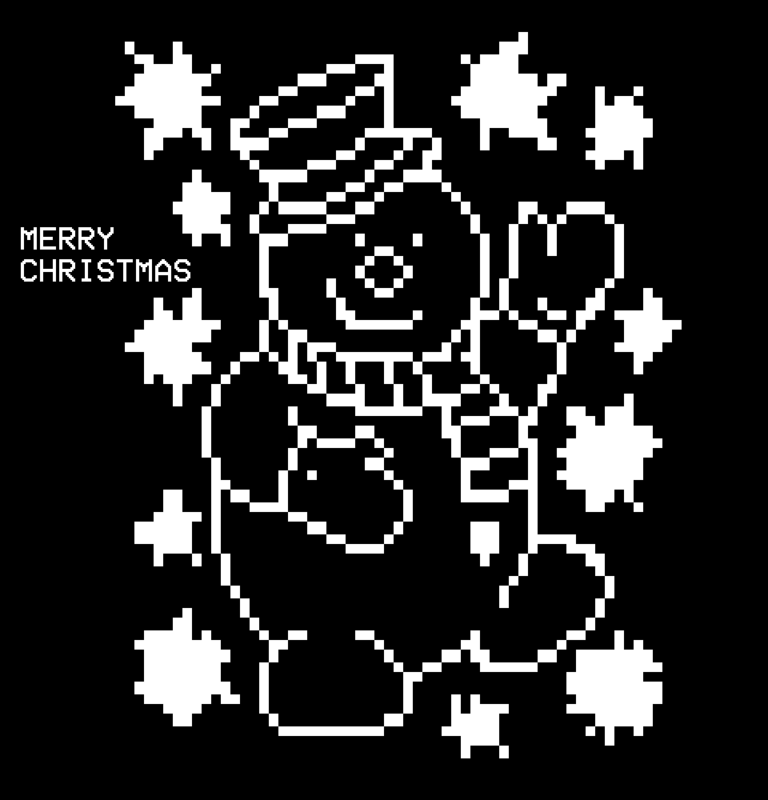 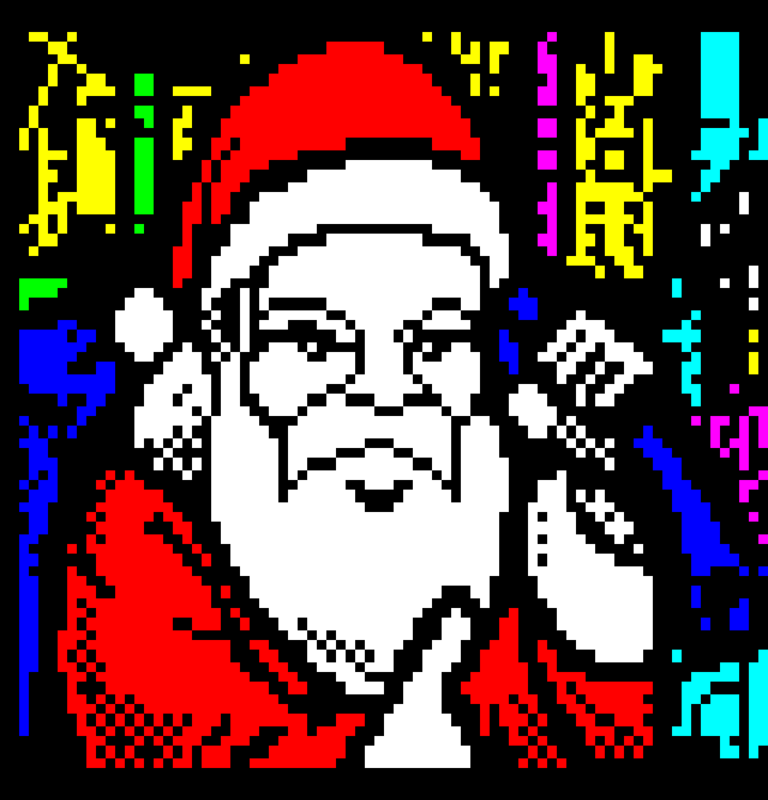 A collaborative project to produce a piece of seasonal teletext art for each day leading up to Christmas 2015. 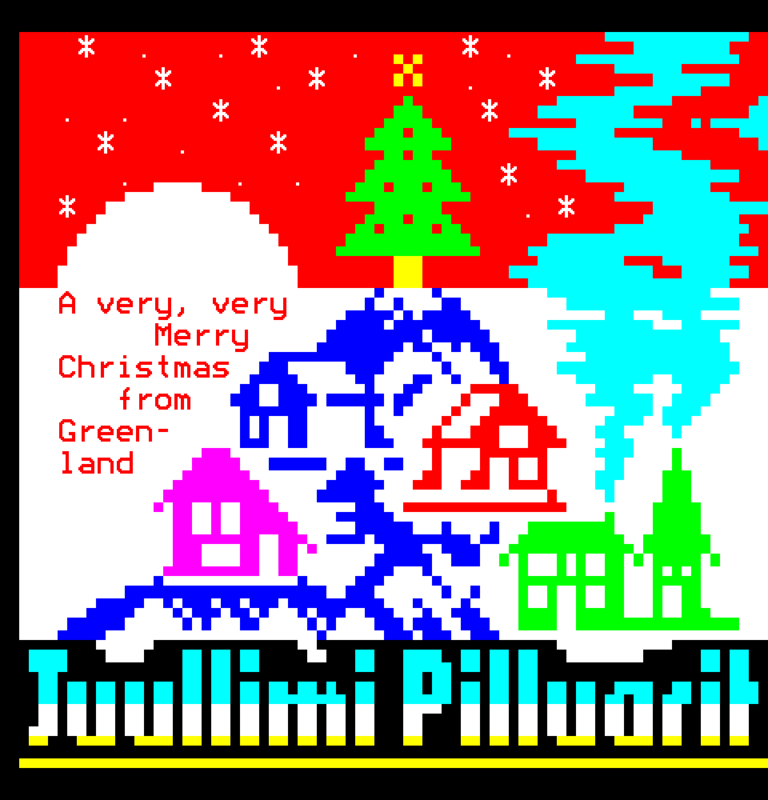 As seen on teletext40.com in December 2015. 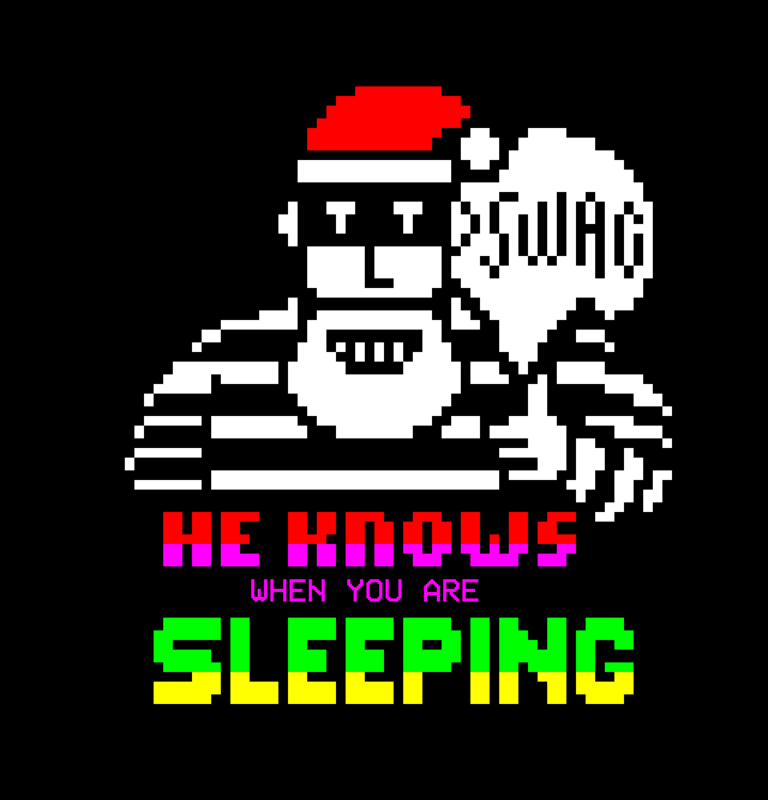 With contributions from Simon Ferre and RonnieBigBoots amongst others. 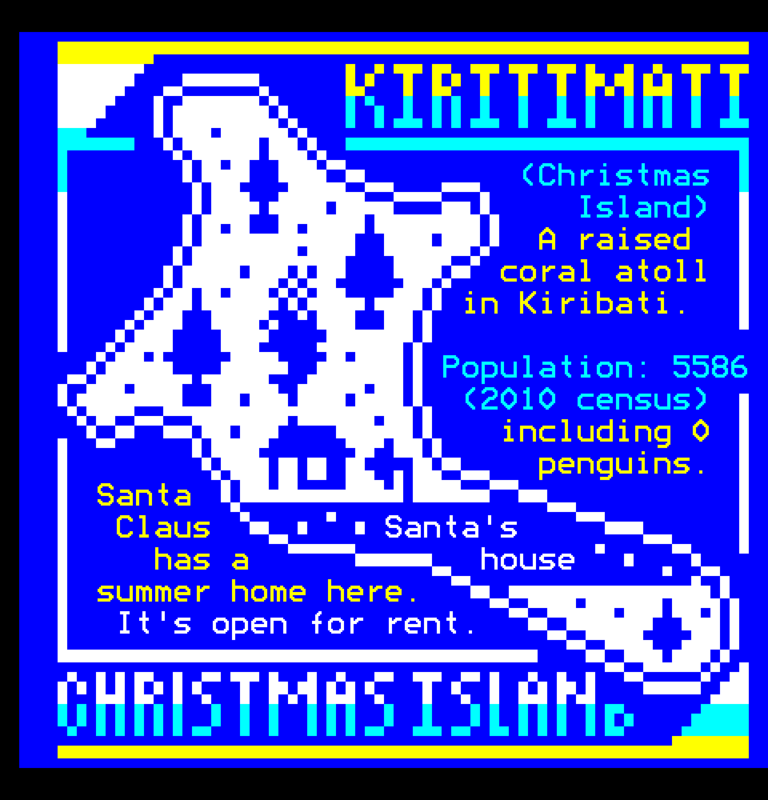 First seven images on this page by Illarterate.